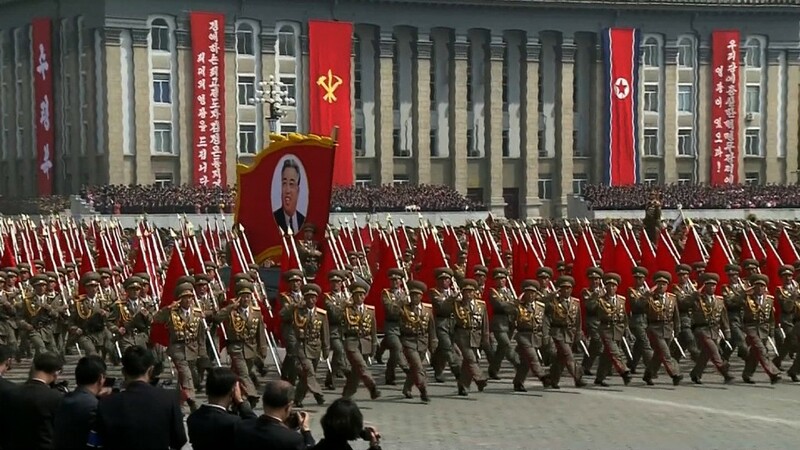 North Korea is still making millions from selling small arms despite years of sanctions aimed at choking off exports. The country is one of the world's major illicit exporters of small arms and light weapons, according to a new report by the Small Arms Survey at the Geneva Graduate Institute. "The report provides some information that helps to support assumptions that North Korea is an important source of supply for small arms, ammunition and production equipment and know-how, but we still do not have a comprehensive picture of its activities," said Paul Holtom, one of the authors of the report. Alongside North Korea, the report also singled out Iran and Saudi Arabia for their opaque dealings in small arms, a murky industry worth an estimated $6 billion. Given the secrecy, experts have to rely heavily on weapons seizures to assess the volume of trade. In Egypt, officials intercepted 132 tons of arms cargo, including roughly 30,000 rocket-propelled grenades, hidden on a North Korean ship in August 2016. Back in 2009, 10 containers of North Korean weapons, including rocket launchers, were seized from a cargo plane in Thailand. That arms cache alone would have fetched an estimated $18 million, according to the report. 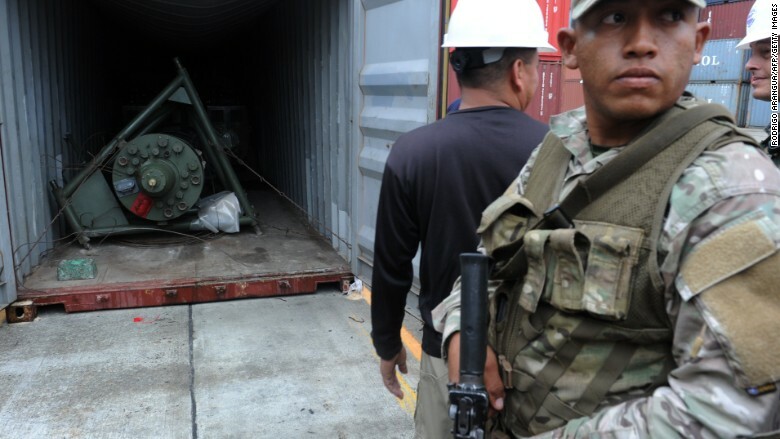 A Panamanian soldier stands guard near a container of the North Korean Chong Chon Gang vessel, where an alleged aging Soviet-built radar control system for surface-to-air missiles was found. Related: Will latest U.N. sanctions make Kim Jong Un sweat? Data from arms seizures "coupled with other documented small arms trade activities, are sufficient to justify North Korea's status as a major small arms exporter," according to the Geneva researchers. Citing research from the United Nations, their report documented a dozen other recent seizures of illicit North Korean cargo destined for Iran, Syria and Cuba, estimating some of those to be worth at least $10 million. The report also names the Democratic Republic of the Congo, Ethiopia, Namibia and Yemen as clients of the rogue state. Those countries had received assistance from North Korea in developing small arms and ammunition factories, it said. The United Nations expanded sanctions against North Korea to include small arms back in 2009. The country is also prohibited from trading in light weapons ammunition and certain minerals and metals. North Korea's dogged pursuit of its nuclear weapons program resulted in a fresh round of U.N. sanctions, designed to squeeze the country harder than ever.